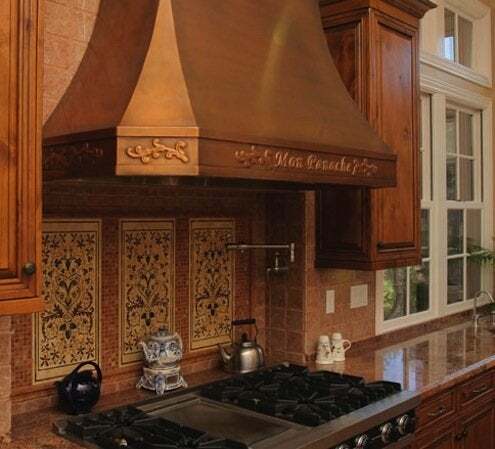 A range hood can blend quietly into your kitchen cabinetry or make a dramatic architectural statement. But whether it’s a wallflower or a showstopper, your range hood still needs to do its job, which is to get rid of cooking odors, heat, and grease. Here’s how to make sure your next range hood has what it takes. The venting capacity of a range hood is measured in cubic feet per minute, or CFMs. How many CFMs you need depends on a lot of variables, including the length of the ductwork. But as a general rule you need enough CFMs to handle the strength of your range. To figure out what you need, add up the BTU output for each of your range’s burners and divide by 100. A 60,000 BTU range top will require a range hood of at least 600 CFMs. Take your cooking style into consideration, too: If you do a lot of frying, you’ll want more CFMs. You’ll also want to consider the range hood’s noise rating, which is measured in sones. The lower the number, the quieter the hood.